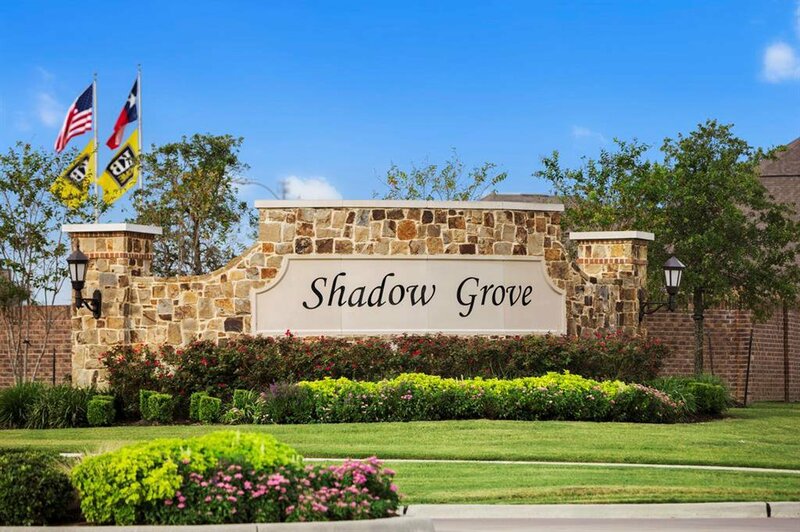 Come home to the quiet, relaxed community of Shadow Grove. Located near Sam Houston Tollway, TX-288, and William P. Hobby Airport, residents enjoy easy commutes to the Medical Center, Downtown Houston, and Westchase. Delve into nearby shopping, dining, and entertainment at Pearland Town Center and Shadow Creek Ranch Town Center. Community comforts include a recreation center, pool, park, and scenic lakes. This stunning KB Home boasts tile flooring, high ceilings, and an extended covered patio for outdoor entertaining and leisure. Create culinary masterpieces in the chef’s kitchen, featuring granite countertops, tile backsplash, and stainless steel appliances. Unwind in the lavish master suite, equipped with a walk-in closet, dual vanities, a 42” tub, and separate shower. This is the home of your dreams. Listing courtesy of KB Home Houston.